Yes, I’m that someone who fell in love with Paris instantly. I’m not only a hopeless romantic (who believes her wedding should be hosted at the Eiffel Tower) but I’m also incredibly fascinated and awed by the fashion sense of French women. To me, it stands out from the mediocre of excess cleavage so very welcome by our generation. The elegance and femininity, is what I truly believe real sense of style is all about. Through my own experience of following style icons such as Eleonora Sebastiani and reading Jamie Cat Callan’s Bonjour, Happiness! where French women are described both personality and superficiality wise, I picked up a few tips on their style which I will share with you today. …à vos marques! Prêts? Partez! Ideally, a simple Breton striped top should be one of your wardrobe staples. Easy to dress up or down, it brings a fun pattern and texture without being too loud. French women do not wear a lot of patterns, and when they do, it’s usually something classy and toned down. Lifelong peace and happiness are available now, and they’re closer than you think. By taking just a few minutes out of your day and making the simple but dramatic shift into the present moment, you will find more focus, effectiveness and clarity than you ever thought possible. There is no jargon, religion or new age vision quest, just simple steps to be happier and more confident straight away. Mindfulness has always been something I gravitated towards. To learn how to live in the present moment without worrying about the past or the future has been a struggle of mine for the past while. Not because I want to worry about all of these things, but my anxiety has pushed my mind to ridiculous thoughts. 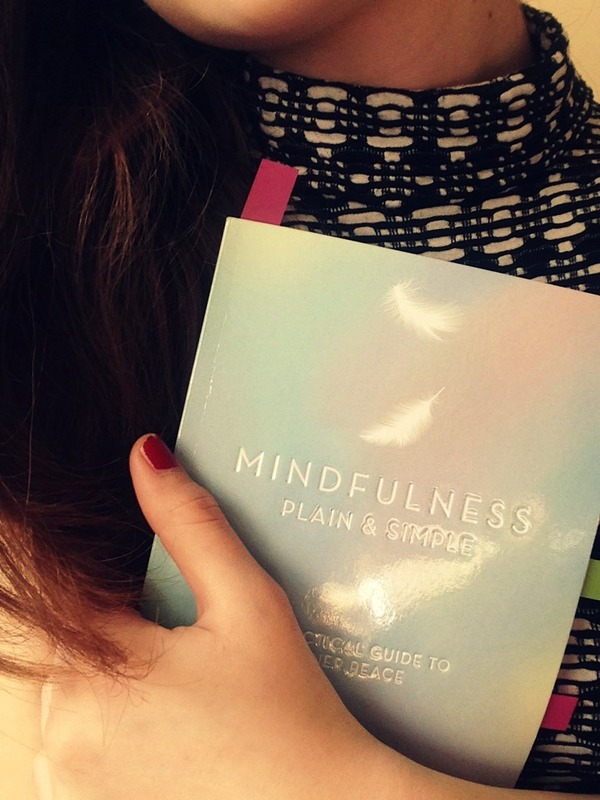 To start my journey to deeper self-growth of the thought process itself, I picked up “Mindfulness – Plain & Simple”. Because I was slacking on reading physical books, I figured this would be the perfect choice as it was relatively short and seemed to be easy to read from day one. Since I can remember I was always the person who panicked before each test, an exam (not to mention the A level exams – horror of horrors!). Over time, I got a little used to it, but not enough to completely eliminate it. It’s weird, because some situations, colloquially all stressful don’t affect me as much. Even a job interview – with them, for example, I have no major problems. If, however, take into account the actual duties of the same job – here is the point of a start of steep stairs. More recently (since only 2 months) I started working at a retail store in Guildford. Well, yes, I am a novice sales assistant who only gets to know this area from the backstage. Few people realize at first, the responsibility in the profession until they begin to practice it. Cooperation with customers (who are totally different), is terribly stressful. It requires great concentration, precision and accuracy. And above all, it requires self-control and ability to work under pressure and stress. I’ve never heard of Bruges. To be perfectly honest, I had no idea what did it look like or what was it famous for. With no research whatsoever, we decided to choose it over Brussels, as we liked the idea of the unknown. 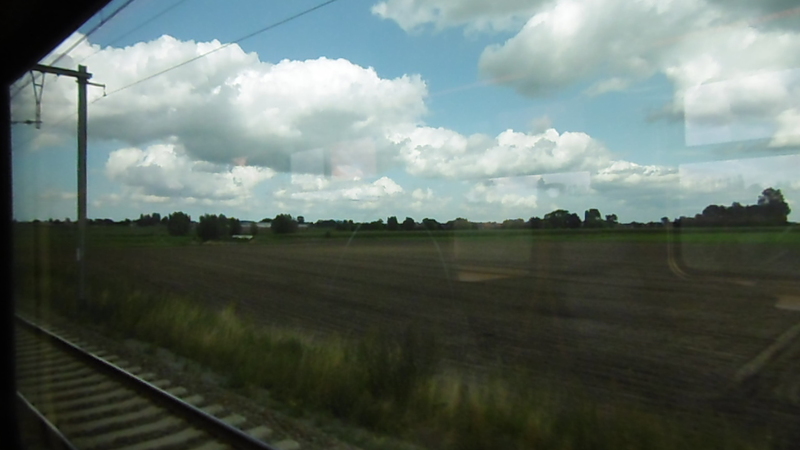 The train journey from Paris to Bruges was long and stressful, or so we thought it was. With a few train changes and a lot of waiting getting a chance to discover a part of Lille on our way was a little bonus to pick us up.